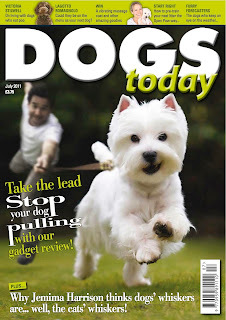 http://itunes.apple.com/gb/app/dogs-today-magazine/id423988537?mt=8 Only 59p for the first edition. Or if you've not got an Ipad/Ipod/iphone you can go to http://www.pocketmags.com/viewmagazine.aspx?titleid=349&title=Dogs+Today+Magazine to download to your computer! * Fascinating article about dogs whiskers and how amazing they are and why we shouldn't chop them off. Trick to try at home, touch your dog's whisker gently and they'll close an eye. * Terrierman on why people who don't know... stuff make the most noise (do not read if you are 23 years old as you be very annoyed I guarantee). * Fascinating piece on Kelly Gorman Dunbar amazing Open Paw and how it could revolutionise rescue - is already doing in Australia and the States and how her method can be used to pre-train pups before breeders sell them - a MUST READ. * How dogs can predict storms and earth quakes. 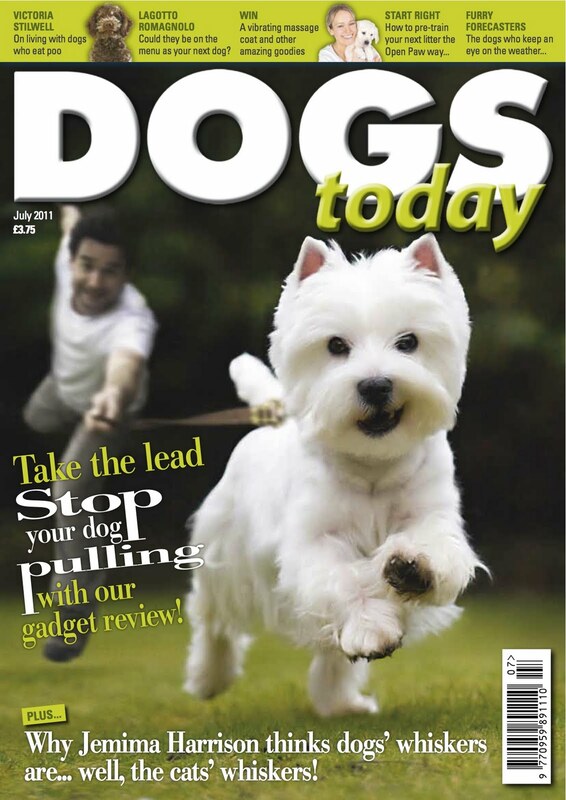 * Best gadgets for helping stop dogs pulling. * Saddest letter ever in Post Bag, we were all weeping when that came in. Star letter. * Sarah Whitehead on raising pups and how hard it is! * Peter N on a Staffie afraid of Storms. * Article on dog that growls at autistic son. * Lagotto Romagnola Fido Facts - really that's what they are called. * Alternative first aid from Richard Allport. * Victoria Stilwell confesses that her own dog eats poo...yew! 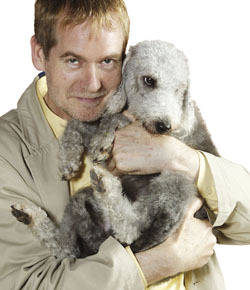 * Spread on the London Pet Show and the Endals. * Allen shows us Hounds for Heroes new HQ. * Things you can win including a vibrating massage coat - I trick you not - and one of our must have sausage dog bag totes. * And well just loads of other stuff!! Plus you can order back issues and the Perfect Pup, too - which works really well interactively as each breed clicks through to a web page and you can order online our indepth fido Facts too! Excellent article about the dog whiskers..I think most animals have whiskers for the same reason. I have seen clipped (whiskerless) dogs seem hesitant to go forward through gaps and somewhat 'unco-ordinated' and thought it might be to do with this...but never really knew..
more from Jemima Harrison please.